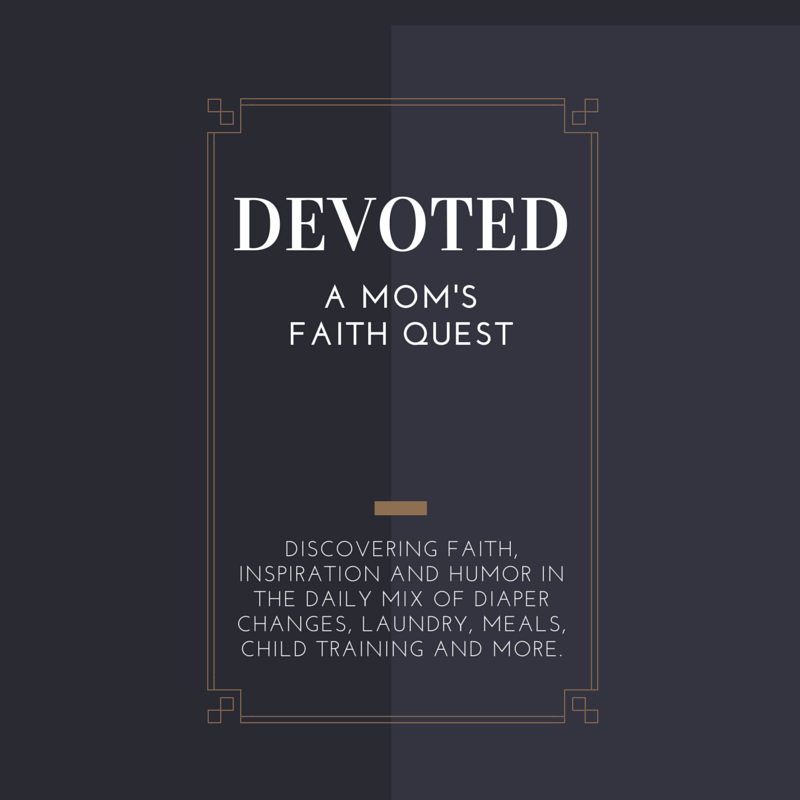 Devoted : a mom's faith quest: What is the Best Way to Prepare for Motherhood? If you said practice gagging over the frying pan every time you fry eggs, you know something about morning sickness that I didn't when I first got pregnant. I had absolutely no idea how awful that smell could be! But the truth is, it's pretty difficult to prepare yourself for the individual things that may send you running for the nearest toilet or bucket since everyone's body responds to pregnancy a bit differently. There may be things you can do to reduce morning sickness but that's not the kind of preparation I'm talking about. Although alleviating morning sickness in itself is helpful, I'm thinking instead of how you can practically prepare for the adjustments that arrive right along with a new baby and that you will walk through particularly during the first few weeks and months after your baby is born. Preparing your home with a cleaning and painting frenzy may feel wonderful (when finished); having the entire "what you need to buy" list checked off weeks in advance is reassuring (although I wouldn't know anything about that from personal experience); stockpiling diapers and super-cute baby outfits may make you feel simultaneously smart and in step with fashion trends as you move into your new role, yet none of these are really the best way to prepare yourself for motherhood. Guess how I know? That's right, from personal experience. Although I didn't exactly stockpile diapers, I certainly had some on hand. I also had the necessities checked off my to-do list but I had a lot of unfinished things on the go when my baby made her appearance. The fact is, however, that all the preparing I was doing didn't really prepare me in the ways I most needed preparing: spiritually and emotionally. Today I know something my 26-year-old new mom self had no idea about in 2010. I have gradually come to an ever-increasing understanding of how vital spiritual preparation is for a much smoother transition from non-mother to seasoned and well-adjusted mom. If you are about to become a mother, I urge you to put special emphasis on spiritual preparation. If you are one of those seasoned moms, I encourage you to take a new or soon-to-be mom under your wing and gently guide her in spiritual preparation. What does spiritual preparation look like? Here are some ways to consider. Practice praising God often and in all things each day. Learn to see the holy amid the mundane. Don't stop praising Him when things are hard or dark or overwhelming. Seek to find God's voice in the everyday as you are growing this little one. Listen closely to what He tells you. Quiet your life so you can hear better. Take time to search out the scriptures that talk about children and about mothers. Take a close look at how Jesus spoke of children. Take stock of your attitudes about children and motherhood in general. Compare them to the biblical guide for children and motherhood. Dig for the truth and cling to it. Find out now what God's true purpose is for giving you the gift of a child. Learn and then memorize God's purpose for children and for life itself. Ask your mom-friends to tell you honestly what they have found to be the best and most difficult aspects of motherhood. Hold tightly to those "best" moments; pour over them, thank God for the gift of them, dream about them and pray for them. Gently open your heart to the possibility of "difficult" moments and prepare purposefully for them by entrusting them to the Father's care and asking Him to prepare you to walk gracefully through those trials. Ask him to show you verses that will illuminate His will in the hard times to come. Pray often for wisdom and grace to make the transitions without regrets. Pray for your unborn child. Ask God to give you a vision of His will for motherhood, for you as a family and specifically for this child. Seek out mentors who will encourage you and point you to true wisdom. And always, walk in the sunshine of God's love, knowing you are blessed immeasurably. Remind yourself God loves you and whisper those words to your wee one. Those, my friend, are some of the ways to truly prepare yourself for motherhood. May He bless you as you walk in His light!